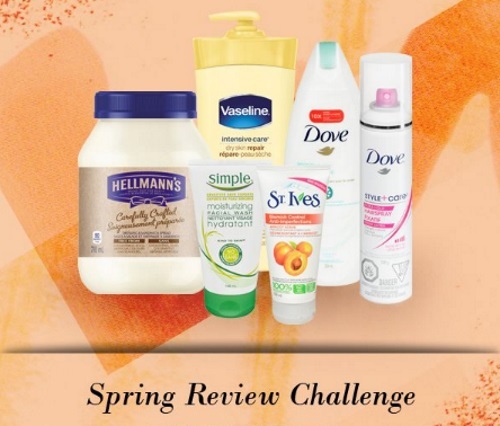 Chickadvisor has a Spring Review Challenge on now! They are featuring 111 products from popular brands such as Dove, St.Ives, Vaseline, Hellmanns and Vim and inviting you to post reviews on any of these products! When you post a review you will be entered to win 1 of 40 gift cards. There are giving away 10 $25 Chapters Indigo gift cards every week for four weeks. To enter, click on the link below and click on the image of the products to be taken too their Spring Review Challenge pages, after you complete a review you will be given a badge and a change to win. Contest closes June 12, 2016. Potential winners will be contacted by email no later than June 30, 2016 at 5pm and must respond to confirm their win.